Connie Caporicci and Charmaine Witbooi are based at our store in Woodstock. Discover why they think fish is a fantastic food choice and why they love what they do. 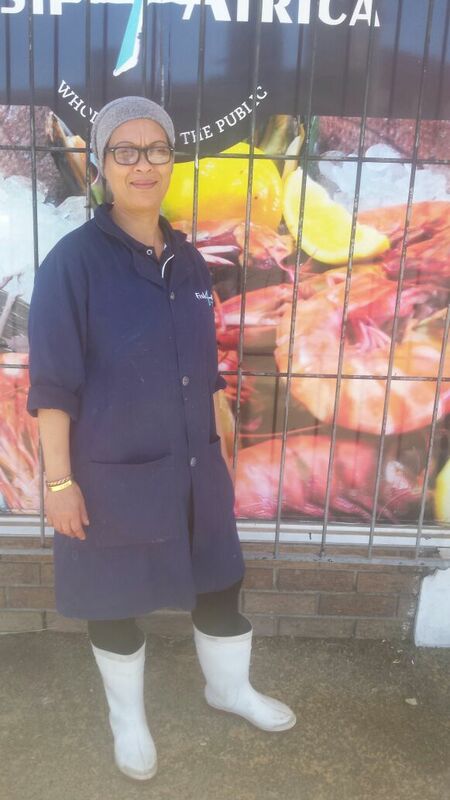 CC: My parents had a fish shop in Sea-Point – South Atlantic. CW: I used to go fishing with my mother and father. CC: I enjoy interacting with customers and colleagues. CC: Kingklip – it’s tasty and firm like a single girl. CW: Hake. It’s a simple and easy kind of fish. CC: To oven bake it. CW: Simply steamed fish with veggies. CC: I’m keeping my home in order and cooking. CW: Cleaning and spending time with my grandkids. CC: It is the most healthiest and natural food. CC: Advice on how to cook fish. CW: Is the fish fresh? CC: When our customers smile. CC: They have great quality and variety of fish and seafood. CW: The quality and the variety is great.